When we moved to the Berkshires in 1980, Bob Swann’s “subscription” to MANAS, an eight-page weekly journal, followed us. Subscription is in quotes because I don’t ever remember a subscription renewal request. Bob was just on Henry Geiger’s list. Geiger was the extraordinary writer, editor, and publisher of MANAS for forty-one years from 1948 through 1988, the year before his death at the age of 80. MANAS was the highlight of the week for me. I would walk to the mailbox at the foot of the drive and start reading on the way up. It was like having a private clipping service which spanned the ages of great thinkers and activists. The same issue would have bits of Plato, Kropotkin, Simone Weil, combined with news of Wes Jackson’s work to recreate a perennial agriculture. MANAS never failed to reorient me to the finest idealism, an idealism that was, after all, at the heart of our work at the E. F. Schumacher Society (now the Schumacher Center for a New Economics). Though I had never met the author of those many articles in person, the cessation of publication of MANAS still meant the loss of a trusted friend. MANAS was a singularly steady and wise voice in a rapidly accelerating and uncertain age. 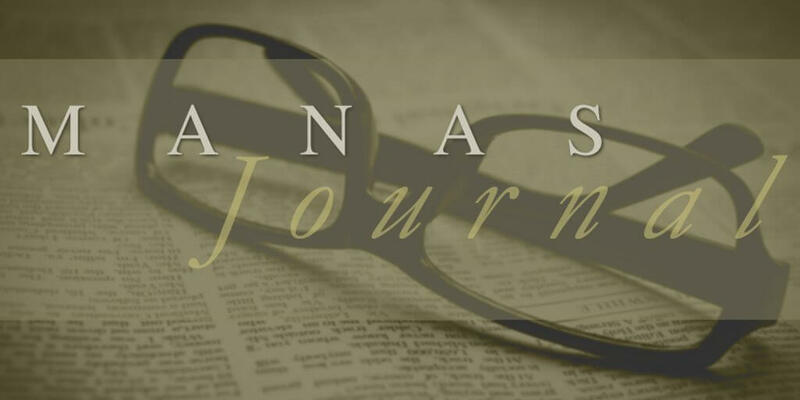 To our delight a new MANAS appeared in the mailbox in 1999—not exactly a new MANAS but a MANAS-sized newsletter announcing the availability of all past issues of the weekly journal on CD-Rom. The CD was the project of “MANAS Reprints,” a devoted group of friends of MANAS who knew Geiger personally. They also knew that Geiger maintained an annotated index of all his articles in card files. It was a valuable resource that should be preserved. The Index too was digitalized. Geiger was already publishing at the time of the McCarthy hearings in the Senate in the early 1950s. Though not a political journal, the ideas discussed in MANAS may well have been called subversive, for all great ideas have the potential of overthrowing the status quo. In such a political climate, Geiger kept his mailing list very private, on a single set of metal label plates. But MANAS readers came to know each other. Martha Shaw, a long-time dedicated friend of the Schumacher Center and its programs, was a subscriber. Martha so loved her weekly MANAS that she crafted a purse just the right size to hold an issue without folding. On her daily morning bike ride to the neighborhood diner for a coffee and roll she always brought along her purse, the newest MANAS, and several photo-copies of her favorite MANAS essays for giving away. She understood well the spirit of MANAS, which was to encourage the free exchange of ideas. Her collection of books, as well as Henry Geiger’s personal collection of books that informed the MANAS Journal, is housed at the Schumacher Center’s Library. Enjoy, as we have, and share freely with others.